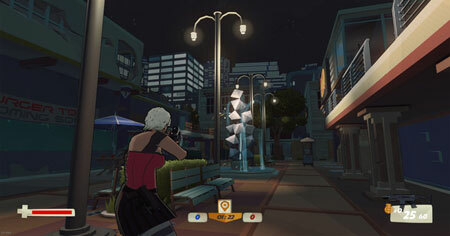 The Misfits is a stylized third person arena shooter from PigDogGames, and it has one objective in mind – Kill or be Killed. Take advantage of cover, crouching, jumping, sliding, weapons pickups, boost pickups, a day night cycle and good old-fashioned communication, to destroy the opposing team. You can steal all the cash and take it to the bank. You have three classes to choose from, jumping no scope kills, 8 arenas ranging from close quarters to sniper size maps. Take cover, sprint, crouch, jump, slide or boost your way into position to eliminate players during the day/night cycle. If you get stuck in the game, check out the video walkthrough and gameplay for the game. This entry was posted in PC Games, Walkthrough and tagged The Misfits Cheats, The Misfits Game, The Misfits Gameplay, The Misfits Guide, The Misfits Hints, The Misfits Review, The Misfits Solutions, The Misfits Strategy, The Misfits Tips, The Misfits Walkthrough by Marvin. Bookmark the permalink.